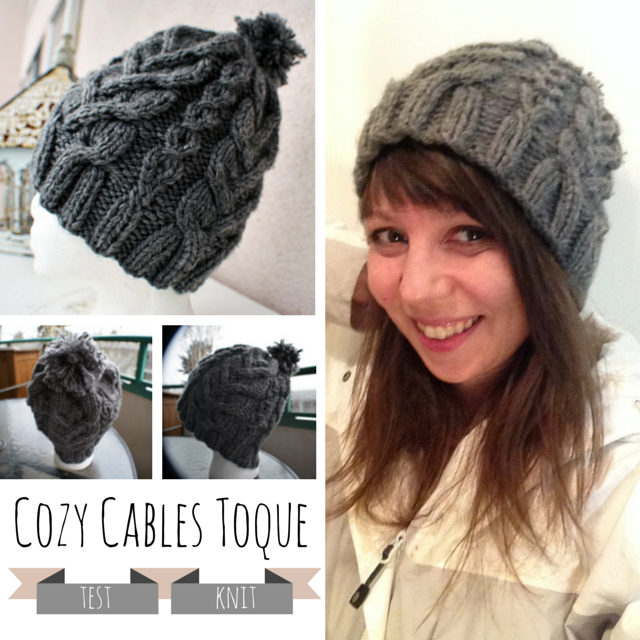 Cozy Cables Toque Pattern - Creativity Strikes! It was so fun to receive a test pattern from the Stitchin’ Sisters. These women looooooooove cables and are creative with them! So I was happy. Very happy. The Cozy Cables Toque Pattern is for sale on Etsy and I can vouch for it! The instructions are easy to follow, even if the cables seem complicated at first glance. You should be an intermediate-level knitter, which means you should understand the basic concept of a cable, be able to knit in the round, cast on and off, decrease, and—gasp!—make a pom pom! Make sure to visit Cozy Up with the Stitchin’ Sisters on Facebook and stop by and say hello if you happen to be in Grande Prairie.